The Suri Alpaca... the rarest of the rare. 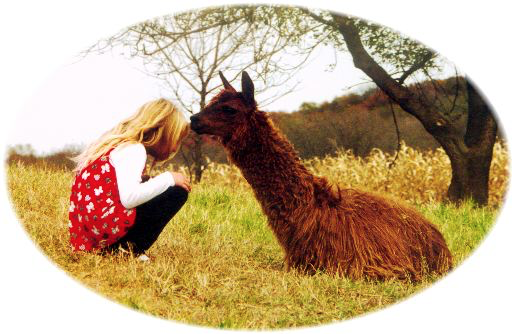 The alpaca is a member of the camelid family which includes the llama and the wild vicuna and guanaco. They originate from the high Andes plateaus of Peru, Chile and Bolivia, and have been imported to the U.S. since 1984. The importation has since been closed. There are two breeds of alpacas, the suri and the huacaya. The suri alpaca fiber grows parallel to the body, hanging in long twisting locks, while the huacaya fiber is more of a wooly-like fiber. The fiber of the suri alpaca is compared to fine cashmere. It is stronger and warmer than sheep wool without the "itch factor" and has the luster of silk. Suri fiber is used for high fashion fabric for designer clothing, luxury apparel, coats, sweaters and specialty interior fabrics and textiles. 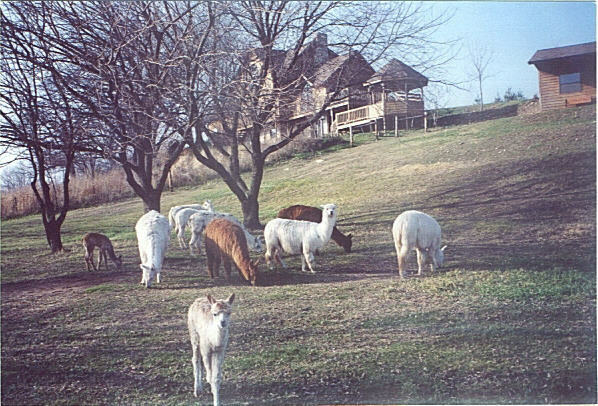 There are approximately 12,000 registered suris in the U.S., representing only about 18% of the total U.S. alpaca population. The rarity of the suri breed only reinforces its ability to maintain it's intrinsic and monetary value. Suri alpacas are a great investment, not only because of their rarity, but also for the fact that they can be insured and depreciated, all farming expenses can be used as tax write-offs and as their popularity grows, so will it's value as a fiber animal. The number of alpaca breeders is growing steadily each year, which only reinforces the fact that these animals are here to stay! Average amount of fiber produced: 4 to 8 pounds of fiber per year. One pound of fiber is enough to create one sweater. Alpacas are ruminants and have a single stomach that is divided into three sections. Like cows, they also chew a cud. Alpacas only have teeth on the bottom. The top is a hard dental pad against which they grind their food. They also have a short tongue, so unlike sheep, which have longer tongues and have a tendency to wrap around the plants and pull them out of the ground, the alpaca nips the grasses off close to the ground, thus much easier on the pastures. Alpacas are considered a "split-hoofed" animal. They have two toes on each foot. Their toenails need to be trimmed occasionally. Alpacas usually have their babies (called crias) before the noon hour. Some believe this is an adaptation from living in the high mountain regions and that this gives the baby time to dry off, stand and start to nurse before the night temperatures start to fall. Alpacas "hum". This is a small noise they use to indicate stress, interest or just plain boredom. Some are more vocal than others. They also have a warning cry they use (if they perceive danger) that you have to hear to believe. It definitely gets your attention! 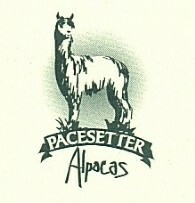 Alpacas do spit occasionally, but it's usually at each other for various reasons. If you're in the wrong place at the wrong time - well, you get the picture! The spit is harmless and washes off, so it's not the end of the world. Alpacas are very smart. Crias can be trained to halter and lead after only a couple lessons. They also do well in obstacle training. Obviously, the more time you can spend with them, the better they do. There are many alpaca shows and these are great fun to attend and compete in.